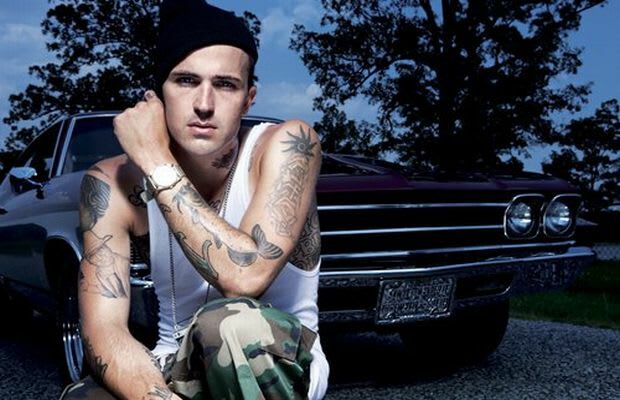 Yelawolf: “‘Write Your Name’ is about the unsung hero. Just giving a voice from the outside perspective. Looking at someone else and giving them a story. Old man sitting on a porch, what his story might have been. "You see a girl pushing a baby in a stroller, and she’s not older than 17, what her story might be. I’m giving them props for being who they are, for surviving. The record is about, if I had a chance, I’d write your name across the sky. Kevin “Corlione” Crowe of J.U.S.T.I.C.E. League: “There’s actually a crazy story behind [Mona Moua’s feature]. Mona wrote a song about her trying to get into a club where Yelawolf was performing, but she couldn’t actually get in. She posted it on the Internet and KP found it. “She actually sung really well, so he came up with the idea like, ‘Why don’t we get her on this song?’ He flew her out to Atlanta to record the hook with us at Patchwerk Studios. She’s on the song. I think she’s gonna be in the video, so she’s got a good start [at a possible record deal].